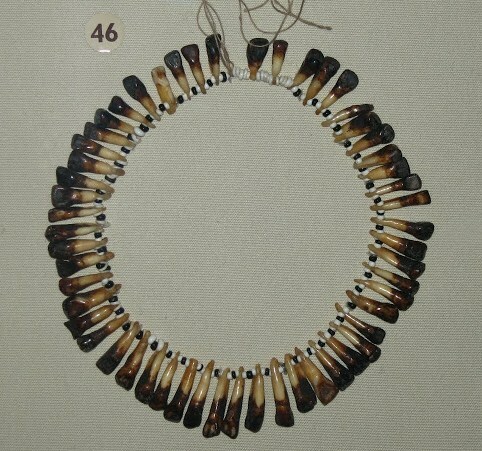 Three selections from a collection of 15 photos of necklaces made of teeth, assembled at Deformutilation. 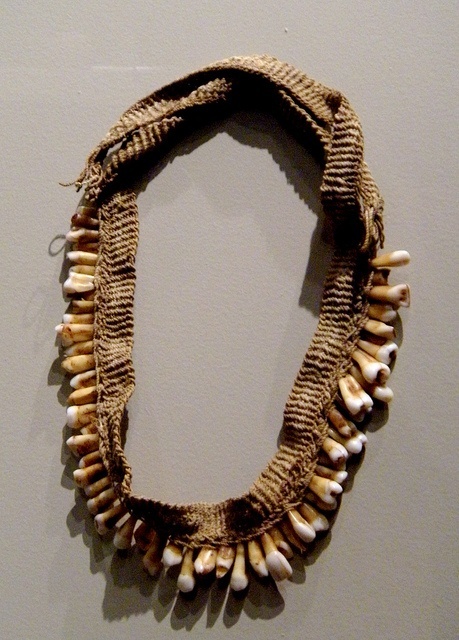 From top to bottom, necklaces from The National Museum (or Museum Gajah) in Jakarta, Indonesia, Bower’s Museum of Cultural Art in Santa Ana, California, and the Auckland Museum, New Zealand. Now you can launch your own drone ! So... is it The Beatles, or the Beatles ? "The Recluse of Herald Square"
What do you notice about these photos? How to break your wrist - on purpose! "Spiked ammo" as a wartime "dirty trick"
Who will suffer from the new tax increases? 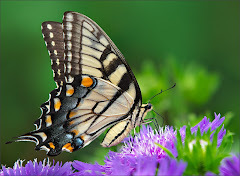 Heart performs "Stairway to Heaven"
Can someone "decide not to decide" ? How do lost pets find their way home? Benny Goodman's "Sing, Sing, Sing"
Germans are shifting from "Sie" to "Du"
"Almost half of the world's food is not consumed"
Exploring the etymology of "hobbit"